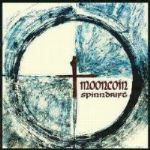 Mooncoin have released three CDs to date, the first being ‘Eclipse’ (1998) and this was followed by ‘A Fathomless Sea’ (2000) with a new line-up including Skryp on guitar. Their latest album ‘Spinndrift’ (2003) is a dynamic fusion of European folk music, a timeless journey around Europe visiting France, Ireland England and the Scandinavian and Balkan countries. You can look at our rave reviews, read the lyrics, read the sleeve notes, or simply down load a few sample tracks. A Fathomless Sea and Spinndrift were both recorded by Sugati Sound in Norwich.